LEADTOOLS ePrint is the total solution for businesses needing fast, reliable PDF, DOC, JPG, TIFF, HTML (and 150+ more formats) creation and conversion, giving users flexible options to save, print, edit, email, or combine their files. 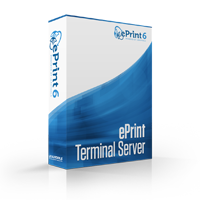 On top of its famous print-to-file conversion, ePrint improves productivity and business workflow by creating text-searchable formats with OCR, enabling print job editing with the ePrint Workstation, and workflow automation with Task Printers. 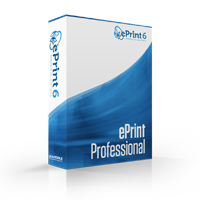 Perfect for today's fast-paced office environment, ePrint can convert your documents, save the file to your computer or SharePoint, print to multiple printers around the office and email the file all at the same time! The award-winning LEADTOOLS ePrint file converter is the complete solution for image and document conversion. Combined with the ePrint Workstation, Optical Character Recognition, task printers and more, ePrint is an indispensable tool for your home or business. Want to see a sampling of what LEADTOOLS ePrint is capable of? 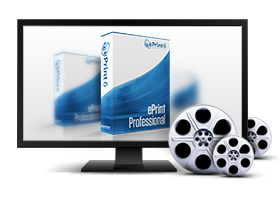 Check out these videos to see ePrint's file conversion, searchable PDF creation, workstation application, task printers, and Optical Character Recognition in action! LEADTOOLS ePrint is an end-user product engineered by LEAD Technologies, the developer and publisher of the award winning imaging development toolkit LEADTOOLS. If you are a software developer, or are interested in more of what LEAD Technologies has to offer, take a look at LEADTOOLS.